Here we go again. Anthology Seven, and so far each anthology has introduced at least one new author. This time we are joined by Martyn K. Jones, along with returning authors Marsha Webb and Daniel Royer. Of course, some names are regular appearances. Mark Ellott, myself and Roo B.Doo show up a lot. Increasingly, Cade F.O.N Apollyon is becoming a regular contributor. It’s always good to see new authors. Giving exposure to new authors was the original aim of Leg Iron Books and although we haven’t managed to make anyone famous yet, we have definitely found some new talent. This anthology is filled with tales of Christmas. Some light reading and some… really quite dark. In some of our heads, the old gods still rumble at this time of year and the tales we tell are not always tales of light and joy. However, we do have some authors who have not succumbed to the Dark Side of Writing as yet, and their work somewhat ameliorates the work of those of us that even Dr. Seuss’ Grinch would say are grumpy. Which stories are light and which are dark? I won’t say. I don’t want to spoil the surprises. Oh, there are surprises. I could name a story that seems dark and gloomy but has a happy ending. Or a story that seems perfectly ordinary until near the end. I won’t. There are a few you will have to categorise for yourself. They may appear light to some and dark to others. You won’t know until you read them. I won’t delay you further. 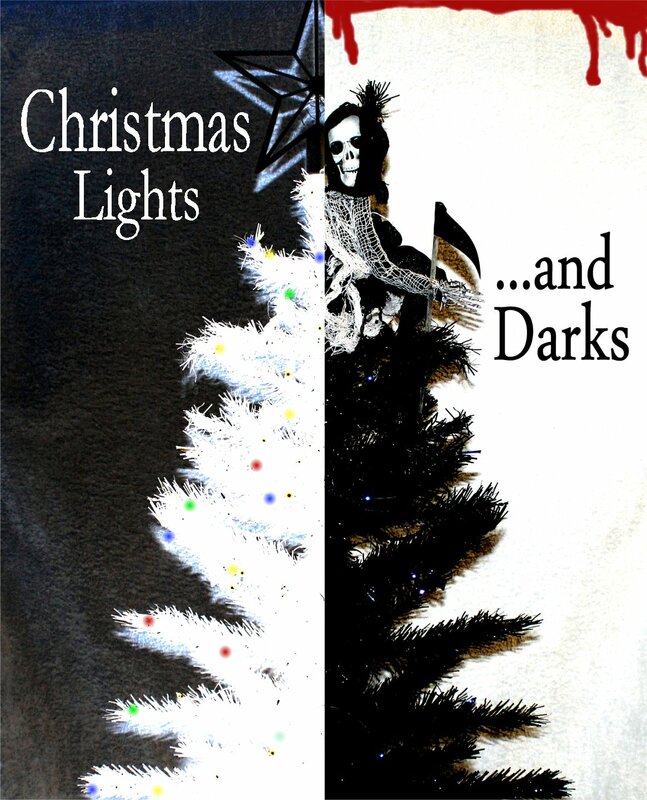 Delve into Christmas, delight in the Lights and maybe shiver a little in the Darks. Always remember that Santa is watching. Light stories and dark stories and some that really could be taken either way. If all goes according to plan, it should be on Amazon by Friday. This entry was posted in Leg Iron Books, Shorts, Writing by legiron. Bookmark the permalink. One of mine is certainly in the grey area.